Jimmy Smith wasn’t the first organist in jazz – Fats Waller, Count Basie, and Wild Bill Davis all preceded him – but he was the first notable practitioner of the Hammond B3 and gave the instrument credibility within a jazz setting thanks to Blue Note albums the likes of 1959’s The Sermon! and 1963’s Back At The Chicken Shack. He was also profoundly influential, his jaw-dropping virtuosity spawning a raft of nimble-fingered acolytes who followed in his wake – among them Charles Earland, Richard “Groove” Holmes, Jack McDuff, John Patton, Johnny “Hammond” Smith and Lonnie Smith. Listen to The Sermon! right now. Born in Norristown, Pennsylvania, Smith was originally an aspiring jazz pianist who gravitated to the organ apparently out of necessity – he was frustrated by the many out-of-tune pianos he encountered while gigging with bands in the Philadelphia area during the early 50s. It also helped that he had witnessed organ pioneer Wild Bill Davis play in the flesh, which opened Smith’s mind to the many possibilities that the organ presented. Convinced that his destiny lay with the Hammond B3, Smith purchased one and locked himself away for a year practicing. When Smith re-emerged, he was a fully formed organist, but what made him unique was that he didn’t sound like any other organist on the planet. He had absorbed the bebop lexicon of alto saxophonist Charlie Parker and the ornate pyrotechnics of blind pianist Art Tatum, both renowned for their facility for melodic and harmonic ingenuity. 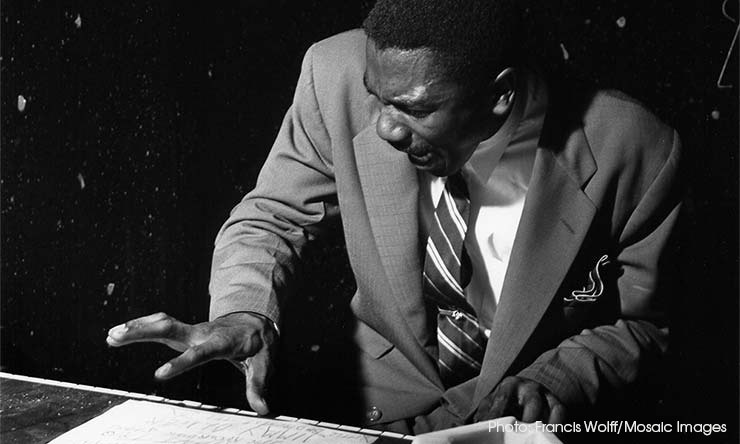 In early 1956, Smith got his big break when Blue Note co-founder Alfred Lion heard him play in a club. Lion had been alerted by pianist Freddie Redd, who had witnessed Smith play in Philly and was blown away by what he heard. Needless to say, Alfred Lion didn’t hesitate to snap the 31-year-old organ master up and add him to his label’s already formidable roster (which at that time included Lou Donaldson, Horace Silver, Hank Mobley, Lee Morgan, Johnny Griffin, Sonny Rollins and Thad Jones). Smith’s Blue Note debut, A New Sound… A New Star…, more than lived up to its title, presenting the Hammond organ in a hard bop context for the first time. 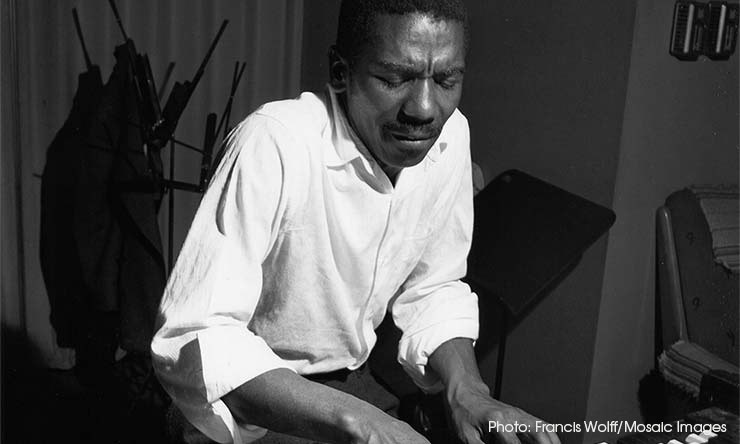 Within two short but incredibly productive years, Jimmy Smith had recorded 14 albums for Lion and Blue Note, and was one of the biggest live attractions on the jazz circuit. 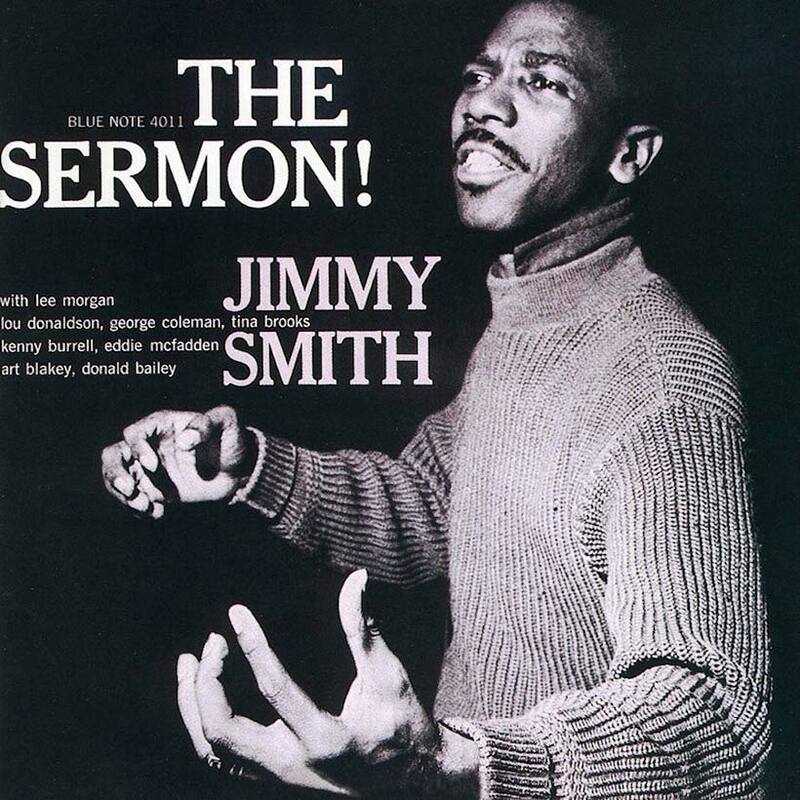 Released in December 1959, his 15th album for Blue Note was The Sermon!, drawn from two separate sessions recorded in August 1957 and February 1958. Like his previous album, House Party, released in 1958, The Sermon! was engineered and recorded by optometrist-turned-studio boffin Rudy Van Gelder, who supervised most of Blue Note’s studio endeavours – though, in an unusual move, the album wasn’t recorded at Van Gelder’s own studio, which at this time was the front room in his parents’ home in New Jersey. Rather, both sessions were cut at The Manhattan Towers Hotel Ballroom, a venue that Van Gelder sometimes used when he had a larger band to record, or when its location was more convenient for the musicians involved. The Sermon! begins with the 20-minute title track, a 12-bar blues that was recorded at the second session for the album, in 1958. Smith plays a fluid, walking bassline with his feet, while picking out some bluesy right-hand licks on top. The mellow groove really cooks, thanks mainly to Art Blakey’s lightly swinging backbeat. Kenny Burrell joins in with soft guitar chords and by that time the band is really cooking, though in a simmering, low-key way. After Smith’s first solo, at 3.30, Burrell plays a tasteful bop-flavoured guitar solo, while Smith is content to sit back, playing soft, unobtrusive chords while keeping the bass pedals moving. At 6.39, tenor saxophonist Tina Brooks takes the next solo, his liquid sound a meld of Parker-esque figures and down-home blues licks. Young Lee Morgan, then four-and-a-bit months shy of his 20th birthday, shows that, despite being a youngster, he can play the blues like a seasoned vet. Coming in last is North Carolina alto saxophonist Lou Donaldson, the only musician on the session who’s still alive (he’s 91). His solo – which also throws in a couple of musical quotations, one of which is from George Gershwin’s ‘It Ain’t Necessarily So’ – is replete with a sense of earthy funkiness that anticipates the soul jazz movement of the early 60s. Though it’s 20 minutes long – and occupied one side of the original Blue Note LP – ‘The Sermon’ never flags or loses its momentum, and the solos are consistently inventive and entertaining. Lee Morgan and alto saxophonist George Coleman lead the horn front line on the faster ‘JOS’ – named after its composer, James Oscar Smith – which was recorded during the August 1957 session that also resulted in portions of the House Party album. The cut features a different guitarist, too (Eddie McFadden), while the drummer is Donald Bailey. It’s a frenetic, free-flowing hard bop groove driven by the drummer’s pulsing, omnipresent hi-hat. The solos, too, are urgent and fiery, and in keeping with the character of the piece. Occasionally, Smith throws in a random eerie chord that has a jolting effect on the band (it was probably intended as a signal to wind up a solo, but it seems to be unheeded, especially by Lee Morgan). The Sermon!’s final song is a cover of ‘Flamingo’, the Ted Grouya/Edmund Anderson song that was a hit in 1941 for The Duke Ellington Orchestra. This version was recorded at the 25 February 1958 session that yielded The Sermon!’s marathon title tune, though Donaldson and Brooks don’t contribute. ‘Flamingo’ is a jazz standard – a slow ballad that offers a time for reflection and features some wistful trumpet from Lee Morgan on the intro, before a delicate solo from Kenny Burrell. It picks up pace as it progresses (though powerhouse drummer Art Blakey is in an uncharacteristically subdued mode), with Morgan sparkling during his second solo. Unusually, perhaps, Jimmy Smith takes a background role on this number, supporting his soloists with subtle accompaniment. Six decades since The Sermon! was first released, it remains a go-to album in Jimmy Smith’s canon. Though it lacks the flamboyant, show-stopping organ pyrotechnics that characterised some of the Hammond maestro’s earlier work, the album demonstrates that James Oscar Smith was much more than a charismatic soloist – here he proved he was a sensitive musician who served the music rather than his own ego. With its palpable gospel-inflections, The Sermon! 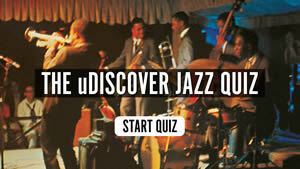 also helped to sow the seeds for a more accessible, R&B-oriented mode of bebop called soul jazz. It remains one of the undoubted jewels in both Smith’s and Blue Note’s crowns. The Sermon! can be bought here. Lou Donaldson is not the only living musician on “The Sermon.” Kenny Burrell is also still with us.